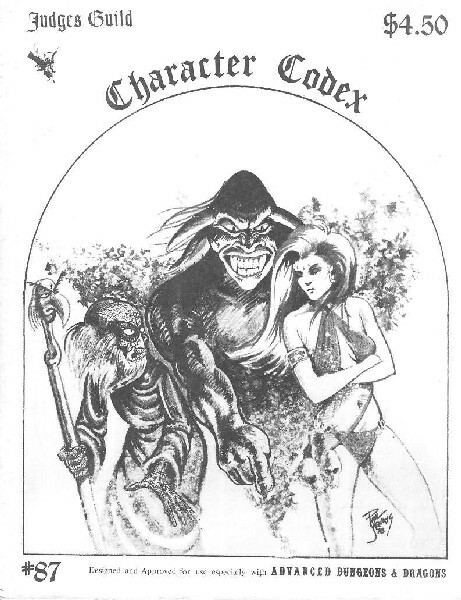 96-page book of AD&D tear-out sheets to keep statistics on the player's characters. Includes spaces for character's title, age, history, clas, level, hit points, expereince points, divinity, background, and characteristics and their effects. Also provided are a blank shield for designing the character's coat of arms and a detailed AD&D equipment list with costs. 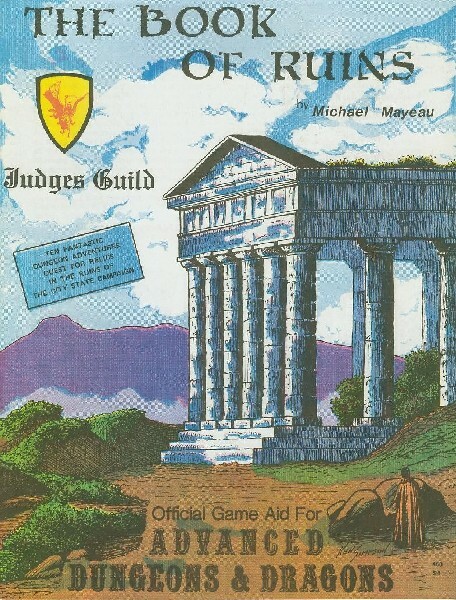 Each character sheet has a small illustration of the character class by Paul Jaquays; sheets are perforated for easy removal from the booklet. The playing aid has been especially designed and approved for use with AD&D. 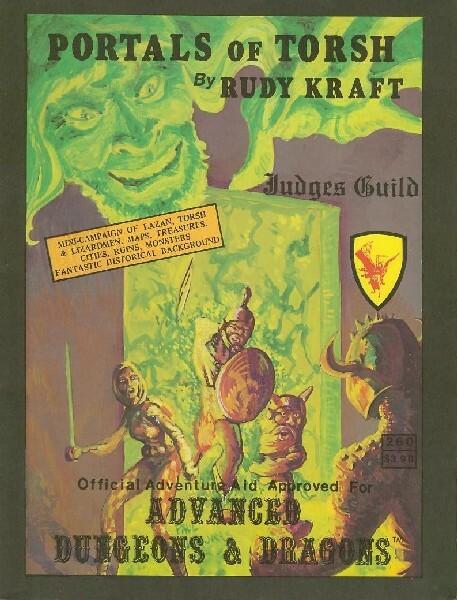 A 72-page AD&D scenario, including four detailed dungeon levels, a village, and other items: new monsters and artifacts, the history of the area, and more. An ancient evil has overtaken a once holy shrine; thus, a sleepy mountain hamlet becomes the focal point for strange disappearances and even stranger legends. Dark Tower is one of our best-selling newer items and is an excellent value for the price. It has been especially designed and officially approved for use with AD&D. 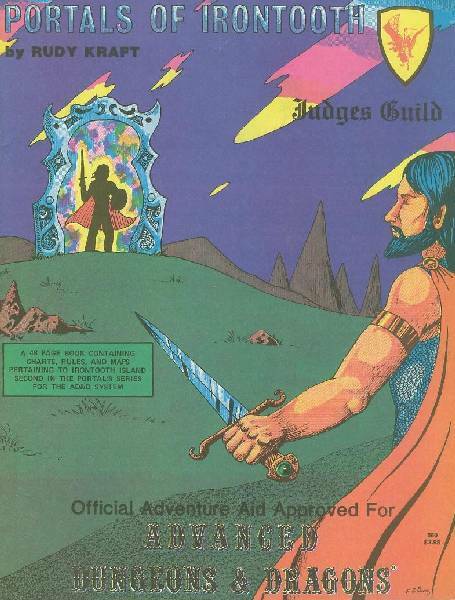 The 1979 Pacificon AD&D official tournament dungeon, which details the capture of an Elven Princess by a band of fierce new monster, Ice Ogres. 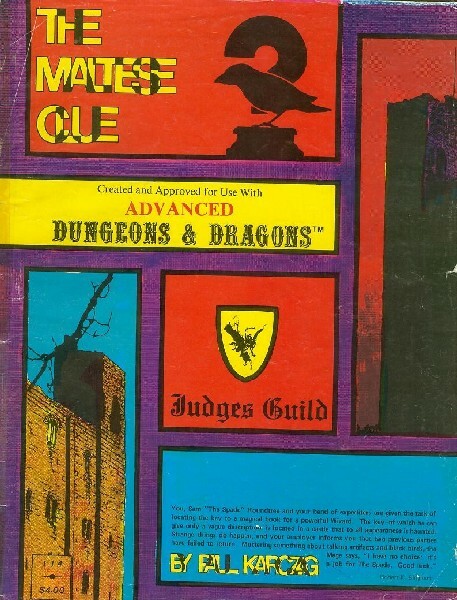 This 32-page booklet includes a very detailed Alchemist's Laboratory which may be used by the Judge on other situations, and pre-rolled characters and combat tables, plus statistics on the Ice Ogres, Electric Crawlers and more. Beware the King of the Ice Ogres and his gruesome treasure! 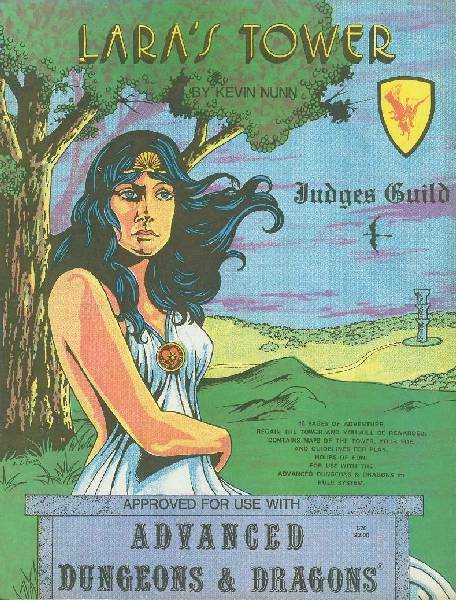 Notes on the play of this tournament were published in The Judges Guild Journal #18. This playing aid has been created and approved for use with AD&D. 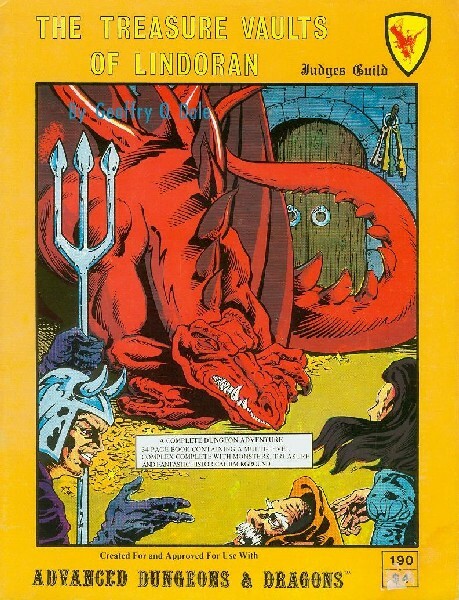 The official AD&D tournament dungeon from Wintercon VIII, based on available maps and photographs of Hedingham Castle in Essex, England, 48 pages long, with full-color, heavy-duty cover, the "dungeon" contains the key to a magic book; this key is the subject of a quest by the players. Five detailed dungeon levels with keyed rooms and secret passages are provided, as is a list of pre-rolled characters from the tournament. These characters are mostly members of a thieves' guild, a spoof of the old private detective sagas, led by Sam "The Spade". Also included are soem new magic items such as magic card decks, and a labyrinthine set of caverns beneath the castle (also keyed and pupulated). This product has been offically approved for use with AD&D. 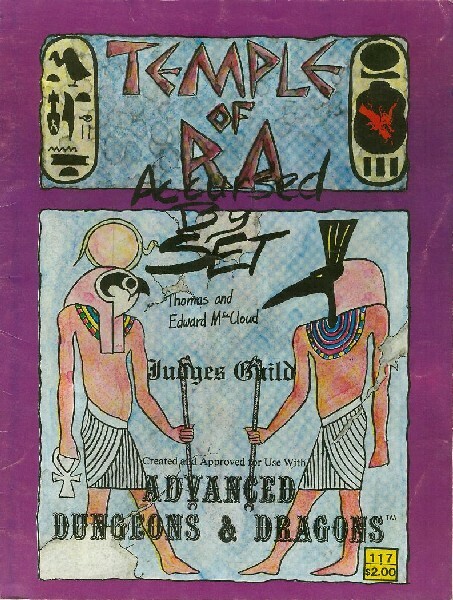 An AD&D adventure through an Egyptian-style temple, desecrated long ago by evil forces. Adventuring parties now wander it, searching for loot, and the forces of good have also entered to protect the ancient relics and restore the balance. Several new monsters are prominently featured in this 16-page booklet. The temple was originally set up for play in three-dimensional form for use with 25mm lead miniatures; instructions are provided to the Judge so that it can be set up that way. This is a nice quick adventure for a single evening, but is capable of being worked into a larger campaign as the Judge desires. The playing aid has been approved for use with AD&D. 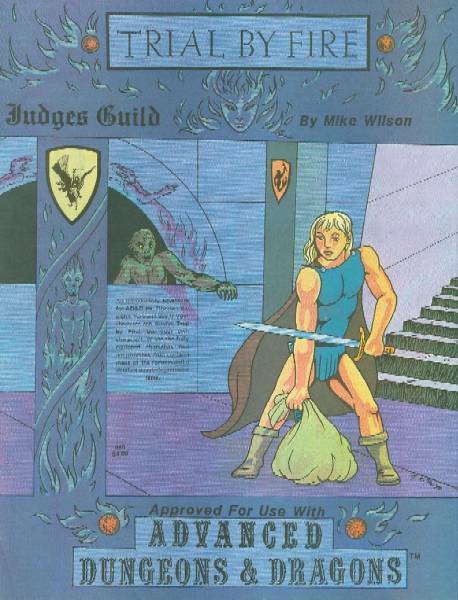 The official AD&D tournament dungeon from Michicon VIII, this is a unique scenario in that it tests the players' ability to role-play. Only two pre-rolled characters are provided, but they are extremely detailed all the way down to their personality traits. The characters have tracked a former comrade who has been possessed by the spirit of an ancient and evil mage, Astigar, they are trapped in the mage's stronghold and must escape withing one hour. "To hit" die rolls are provided in each encounter, and the tournament point-scoring system is also given. 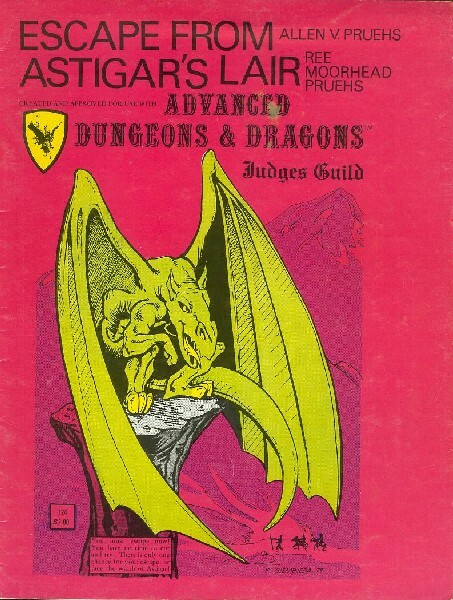 This 32-page booklet is one of the most thorough designs we have yet seen, and has been approved for use with AD&D. The location of the fabulous treasure of the Elven King has been discovered. Some of the guardians and dangers are known but many more must be hidden. Can your party win throught to the Scepter and Ring of Ancient Power? 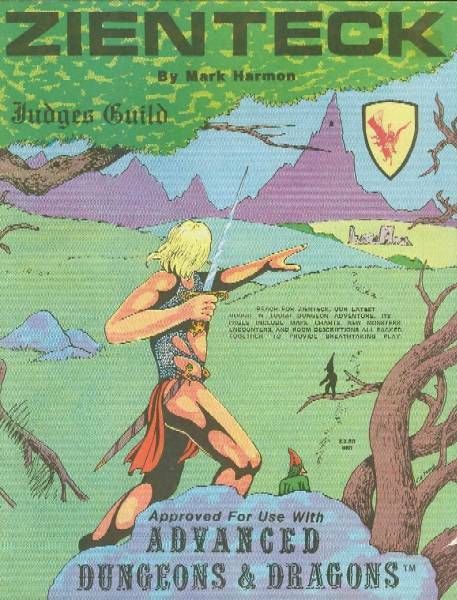 this complete adventure has been officially approved for use with AD&D. 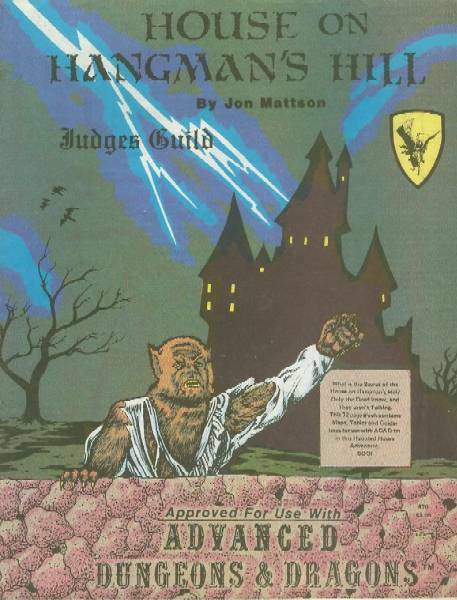 For those Judges who are always telling their players where to go, the Judges Guild proudly provides the perfect destination, Hell. 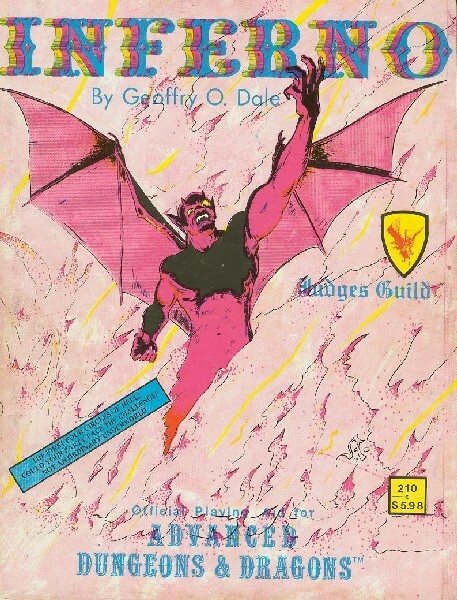 This adventure is based on Dant'e Inferno and it covers the outer four circles (the remaining circles will be covered in a latter product), detailing the abilities and treasure of manu of the most powerful Devils. Also included are statistics for a variety of new minor devils which can plague characters (in or out of Hell) for years to come. 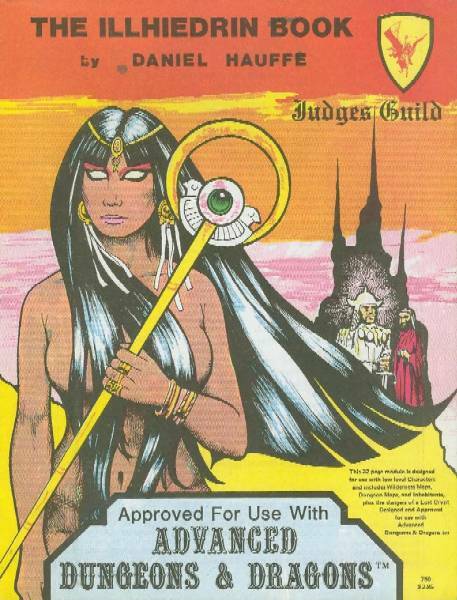 This product was created and officially approved for use with AD&D. A 48-page book detailing an area reachable only through the use of Teleportation devices called "Portals". It includes considerable History and Economic description of the area, one town of Lizardmen and another of Humans, and several adventures including a Lizard Wizard's Tower. Also included are Monster Lairs, Wilderness descriptions, Wandering Monster tables and major Character descriptions. Portals of Torsh can easily be fitted into any campaign, and is suitable for mid-level characters. This playing aid has been created and approved for use with AD&D. This is a set of ten mini-dungeons designed to be used to spice up an existing campaign, or to be run alone as short open dungeons. Most can be run in one to four hours, so they can fill a void in a normal overland campaign without converting it into a long dungeon adventure. When used like this, the Judge can either prelocate them on a map, or they can appear as encounters in the wildeness. They are also suitable for solitaire play. 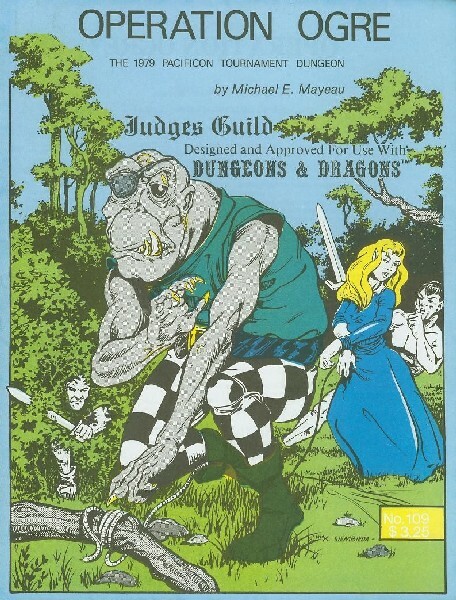 Designed and approved for use with AD&D. The second book in the "Portals" series has an all-new world including new Monsters and Magic. This 48-page book provides descriptions of the Human and Gnome settlements, Lands, and leaders, as well as their history. Wilderness and monster encounters and descriptions are provided, together with Portal types and travel. Portals of Irontooth can be used directly after Portals of Torsh or can be used as part of an existing campaign. Created and approved for use with AD&D. 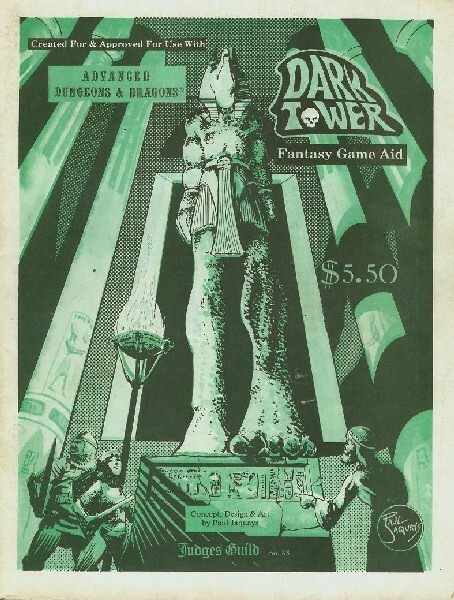 A 16-page book featuring a Tower once owned y a beautiful Magic user, but presently inhabited by a foul horde of evil creatures, monsters and treasures abound throughout the Tower. Are you brave and strong enoght to regain Lara's Tower, or will you succumb to the evil luring there? Designed and approved for use with AD&D. This is what the world been waiting for! In the fotsteps of Survival of the Fittest comes Dragon's Hall, a 32-page solo dungeon for daring and hardy adventurers seeking treasure. 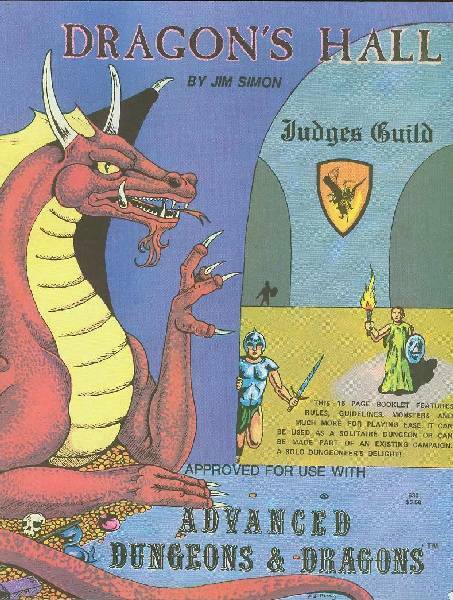 Dragon's Hall is ideal for existing characters or for new ones, and it is approved for use with AD&D. 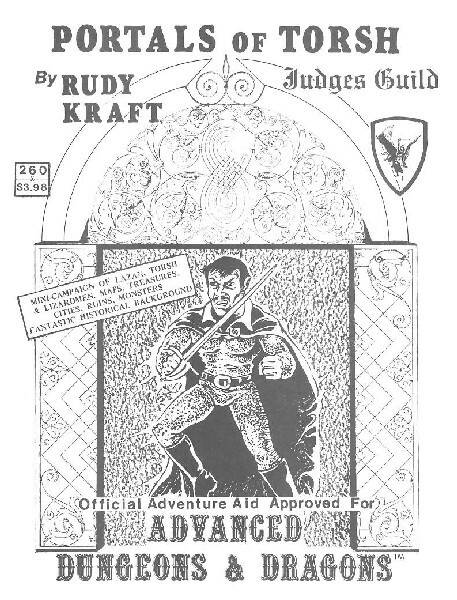 This is an introductory adventure approved for use with AD&D. Use your own characters, or use the fully equipped characters provided in the module. Includes detailed maps, encounters, and room descriptions in this action-packed 32-page book. See if you can survive Trial By Fire! This is an AD&D adventure involving a wilderness trek to gain a forgotten Wizard's treature. All previous expeditions have disappeared and only wild rumors have reached the outside world. Featured are new monsters, created by the Wizard, that could still be lurking around the ruins in search of prey. Included also are Maps of the surrounding area and the ruins, monster descriptions and encounter tables, and descriptions of the rooms plus their contents. This module makes for some suspenseful hours of playing. Designed and approved for use with AD&D. Approved for use with AD&D, this module pits a party of explorers against the secrets of an old and deadly fortress Manor. House on Hangman's Hill contains 32-pages of room description, monsters, encounters, and treasure for the taking. Can you clear this house of evil, or will you die trying? A search by a beautiful Wizardress involves the recovery of the fabulous Illhiedrin Book, lost during a raging storm amid bolts of lightning in a titanic battle between an inhuman creatuer and a now-dead Wizard who was the former possessor of the Book. They party must recover the Book, defeat the Creature, and stay alive in the process. This 32-page module is designed for use with low-level characters and includes wilderness maps, dungeon maps and inhabitants, plus the dangers of a lost crypt. Designed and approved for use with AD&D. Journeys of wonder and magic will be experienced when the Portals are traveled again in this newest release in the Portals series for AD&D. Portals of Twilight is set on the planet, Halfworld; it is a world similar to our moon, half light and half shadow, with only a narrow stirp of land that is habitable. This twilight region has evolved varied types of creatures which are accustomed to the climate. North Pole City can be visited also, as it is the center of learning and culture on Halfworld. Multiple encounters are given, as well as other major points of interest and new monster types.